Take 160 Logitech gaming keyboards with illuminated keys. Assemble them into a wall. Add a sprinkling of extra electronics and code. 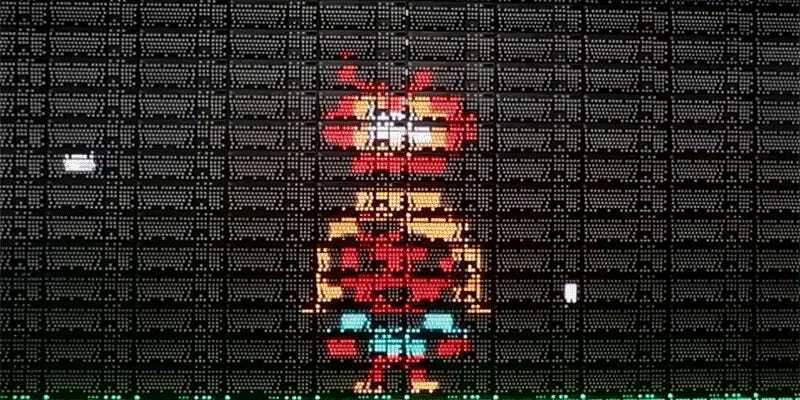 And, voila, you have a giant 8-bit display. Sure, there are better displays to, say, play 8-bit games on. But it’s fun, weird and more than a little meta. It was on show at PAX East, where it showed a film made by Iam8bit. Presumably it may soon decorate a foyer of some Logitech offices.